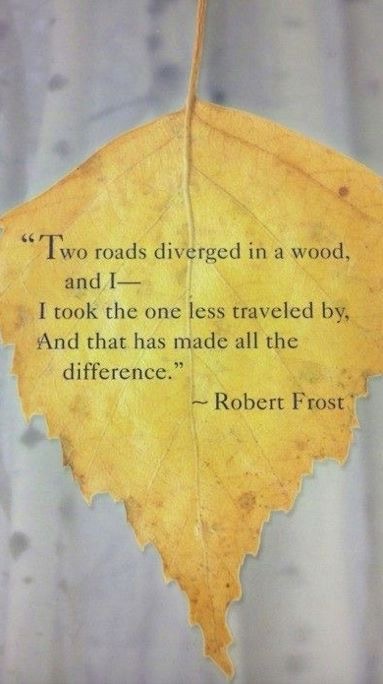 Robert Frost was an American poet born in 1874 and left this world in 1963. I can only imagine what the expectations of that time were for him. In the 1800’s, announcing you were going to be a poet would surely have resulted in ridicule and laughter. He did however, pursue his chosen path, and is now recognised as one of America’s best known poets. These words definitely resonated with me. 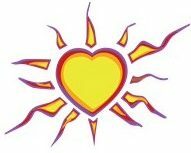 Many of us live to the expectations of parents and partners, and in doing so, do our selves a disservice, because making our choices with ‘others’ happiness in mind, generally denies us our own happiness. As I have mentioned in earlier posts, my choices have directed me away from what has previously been viewed as a mainstream career. My choice has me feeling happy. It gives a spring to my step, a smile to my face, and a feeling of satisfaction and excitement. I love what I do. My choice has made all the difference, not only to me, but to those around me. However, I still receive regularly from someone close to me, the comments along the lines of not “wasting all those years of study and experience.” Rather than remaining silent, as I had been doing, I chose to reply that all of those years have indeed not been wasted, that they have in fact, enhanced my skills as a Kinesiologist and therapist. No comments since. Have the choices you have made, been made with your heart? Your soul? Or have they been made with the words of another resonating in your mind? Make a choice that will make a difference…. To you.